Thanks to all of you who volunteered on campaigns, worked the polls, and got out there and voted. I know how hard it is to keep showing up and keep working. Your commitment to democracy is inspiring. In this update, I will cover new ways to get election data, final lake levels recommendations, an update on the zoo, and neighborhood news. Like many of you, I used to frantically refresh the elections results to get the latest updates from the county clerk’s website. We now have a new way to programmatically get elections data using well-understood application programing interfaces (APIs) such as REST/JSON. In the past, external organizations such as newspapers and TV stations would use a technique called “screen scraping,” where they would go to the clerk’s web site and try to read the information programmatically off the clerk’s web page. This is a laborious and tedious process which often leads to errors. In my campaign, I stressed that government should make their data available using these well-known APIs. I will dive into this API in a future update, so those who are technically inclined will have a leg up on how you can use these services to develop your own applications. I want to emphasize in this process that I fought hard to manage all of our lakes at their seasonal minimums. It was not an easy process to get support for this, but in the end I am glad we reached a consensus. 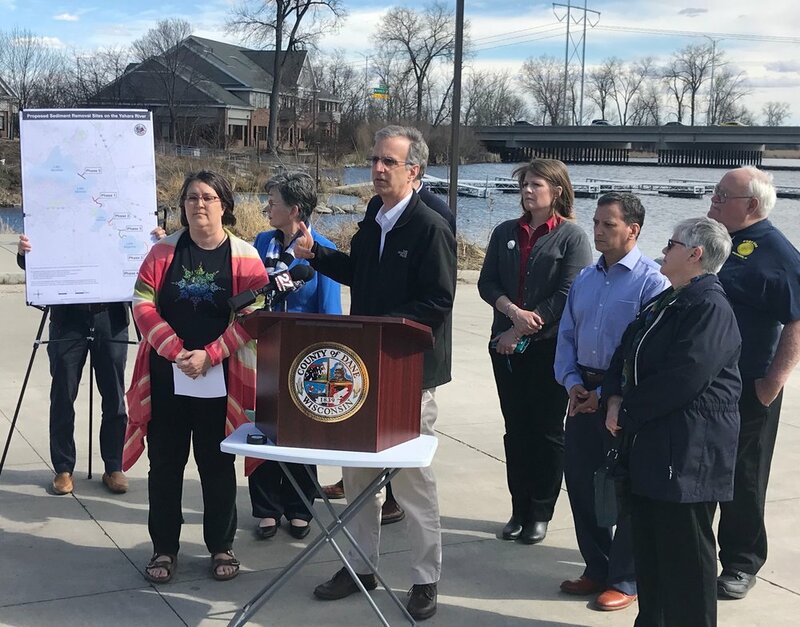 This would not have been possible without the efforts of the well-organized, neighborhood-driven Isthmus Flood Prevention Coalition. It shows the real power we have when we work together for our shared objectives. This Thursday at the County Board, we will have two resolutions in front of us: Resolution 607 and Resolution 629. Resolution 607 will continue staffing for the zoo, and Resolution 629 will help continue concessions operations. I am inclined to support both of them. This Zoo situation is illustrative of larger issues where processes occur outside of public scrutiny, which ultimately leads to outcomes that the public lose faith in. I am always working for transparent government that works for the community and the people, and will continue to do so. Yogesh addresses the recent SASY annual meeting. There was recently a fire at Stalzy’s Deli. We are thinking about neighbors who run Stalzy’s, and our family in particular is thinking about all our memories of Stalzy’s OktoberFest. We hope they recover quickly, and look forward to supporting them when they re-open. The SASY annual meeting and party was a huge success. Congratulations to our newest board member Anjali Bhasin. I decided to not run for my seat again since it is unfair for me to hold two seats, and there is no better successor to represent the Yahara seat than Anjali, a longtime community activist. The neighborhood enthusiastically recommended her. AtwoodFest is just around the corner on July 27th and July 28th. You can sign up to volunteer now: https://signup.com/go/Edmsjjx. If you volunteer at KidsFest, you’ll be sure to see our family there volunteering, or maybe even DJing.